1. Combine all of the ingredients in a medium-sized bowl and taste. 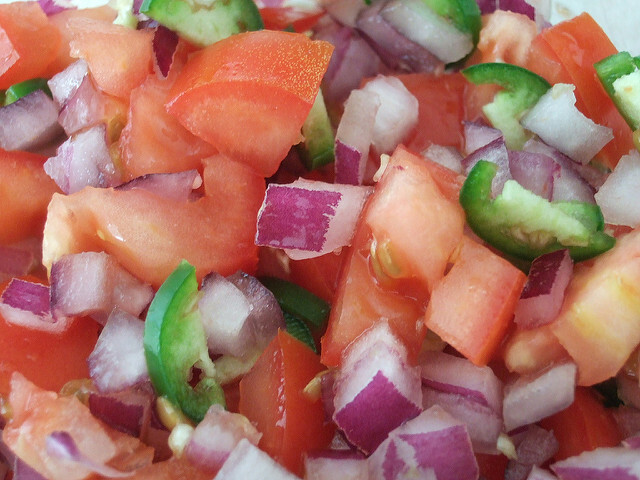 If the chilis make the salsa too hot, add some more chopped tomato. If not hot enough, carefully add a few of the seeds from the chilis you set aside. 2. Serve with tortilla chips, or cut up vegetables. *Wash your hands thoroughly with soap and hot water after handling and avoid touching your eyes!